James Bond’s perfectly smooth ordering of a martini, shaken not stirred was shaken up earlier this year when hints that in the movie Spectre (released today) he orders a dirty martini. Adding olive juice to his cocktail of choice caused waves with fans. 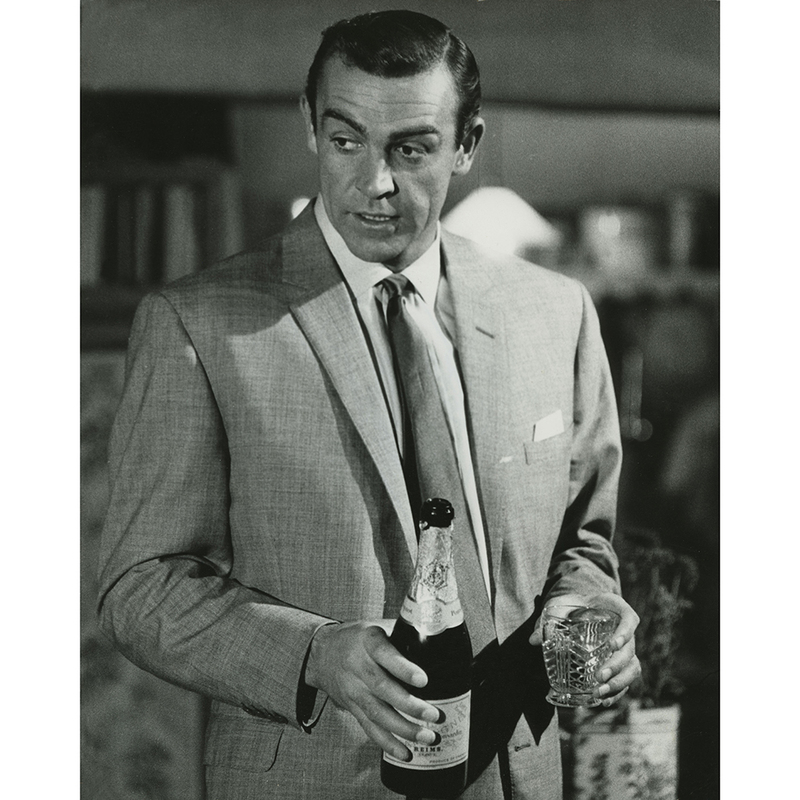 But throughout the film franchise Bond has ordered other beverages including champagne, particularly Bollinger Champagne. James Bond first started drinking champagne in the book Diamonds Are Forever but Bollinger Champagne began appearing in movies in 1973. Since then, he’s called for it in 14 films. The relationship between Bollinger and the Bond franchise began when Albert Broccoli, the Bond producer sparked a friendship with Christian Bizot, the General Manager of Champagne Bollinger at the time. Since then it has been used in Bond films as a bit of liquid courage when Bond is seducing his next conquest. To celebrate this long-lived partnership Bollinger has release a limited edition cuvee. Retailed at $229, the 2009 vintage comes with a sleek 007 black label and a chill box that keeps the bottle nice and cold for up to two hours. So how does the limited edition taste? Because of warmer conditions in April 2009 the vines were able to bud early creating a lower acid, a slightly sweeter bubbly with gentle effervescence. Making it a perfect gift for those die-hard Bond fans in your life.